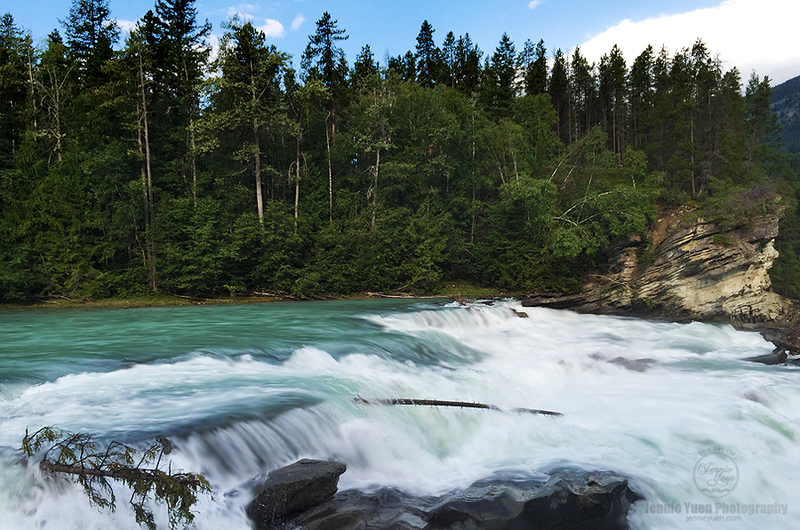 As we continued our roadtrip heading towards Robson Provincial Park from McBride along Yellowhead Hwy, we stopped to take a look when we saw signs and a small parking area for Rearguard Falls. There is one easy trail that leads to the viewing area of falls. 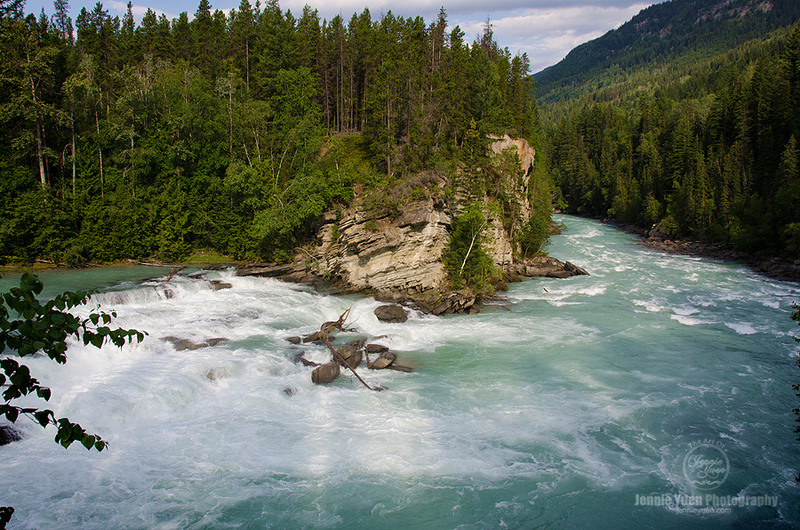 Rearguard Falls is located in Rearguard Falls Provincial Park in British Columbia just above the emergence into the Rocky Mountain rrench. The park can be accessed along Yellowhead Hwy along the Fraser River. These falls mark the upper limit of the 800 mile migration of salmon from the Pacific Ocean. Only a few Chinook, largest and strongest of the salmon come this far. Look for them in the late summer.